Saturday 12th May is Sustainable Gardening Day at The Secret Garden. * Composting. 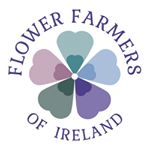 We’ll be joined by Donal O’Leary from Waste Down and Master Composters (yes, they really are called that) from Stopfoodwaste.ie who will be demonstrating how to make your own compost both with compost bins and wormeries. Donal will be selling wormeries on the day, plus Cork County Council have kindly sponsored a wormery for a free prize draw. * Organic Gardening – Kitty Scully from RTE’s ‘How to Create a Garden’ will be on hand to answer questions and will be doing demonstrations at 1.30, 2.30 and 3.30 in the veg garden. Kitty has boundless energy and enthusiasm and a wealth of knowledge so this is a great opportunity to learn from an expert. * Poultry Keeping – David Kelly will be here selling rare-breed hens, as well as a good selection of general poultry. He is also a mine of information and more than happy to offer advice. * Diane, the name behind ‘Basket Case’ will be demonstrating her willow-waving skills, as well as selling her beautiful baskets. * Alan will be giving a talk on bee-keeping, and depending on numbers and how the bees are feeling (if they’re grumpy we’ll give them a wide berth), this will be in the bee garden. The talk will be at 4pm. This will be a fun and informative afternoon, so we hope you can come along and join us. The Tea Room will be serving lots of tempting goodies, so why not make an afternoon of it? Sounds like a brilliant day – will defo try to get to this one! Hope you make it Sharon.